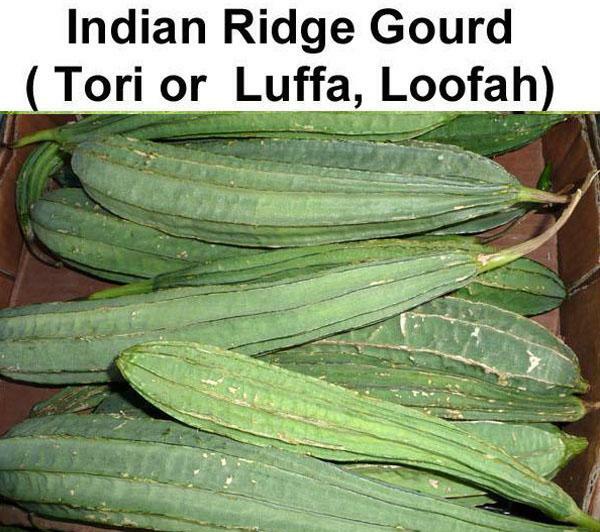 This is a simple but lovely dishes that my mum used to make with tories (ridged or smooth Indian gourd), sometimes adding sliced arvi (colocasia tubers or eddoes). 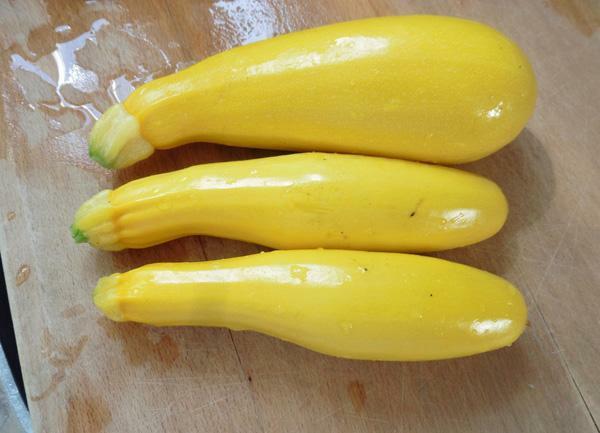 Here I have made it with yellow courgettes, freshly picked from the garden. 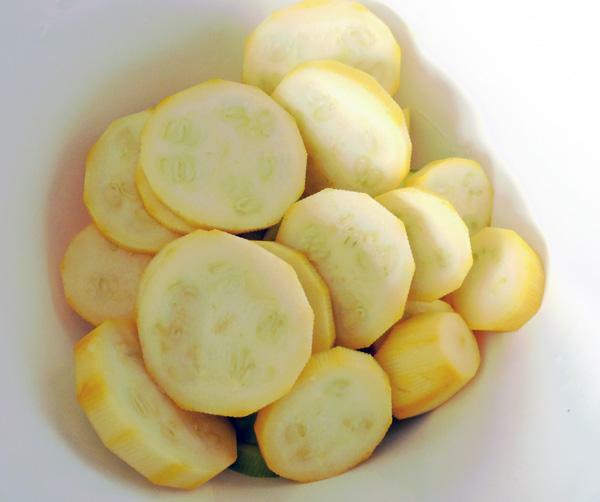 Serves 4-6 as a side dish. 1 tsp. carom seeds (ajwain). Carom seeds give this dish its distinctive flavour, but you can try other seeds like black mustard seeds or even cumin seeds. Juice of 1/2 a lemon or 2 medium tomatoes chopped up. 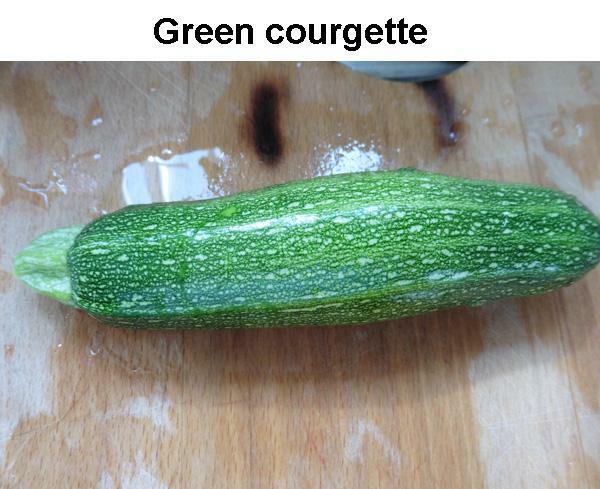 Peel and cube or slice the courgette/marrow/Tori, removing any hard seeds or fibrous centre. 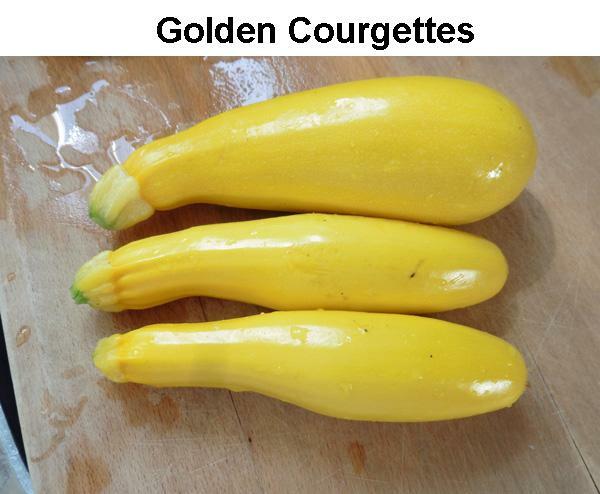 Young and tender courgettes do not need peeling. Wash and drain. Keep aside. 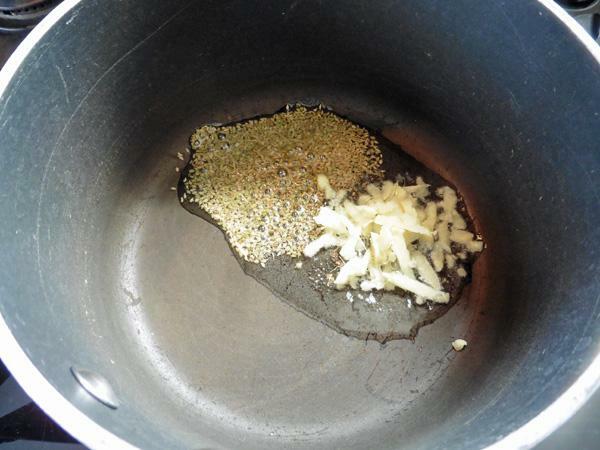 Heat the clarified butter/ghee in a pan. Add carom seeds and asafoetida/hing. 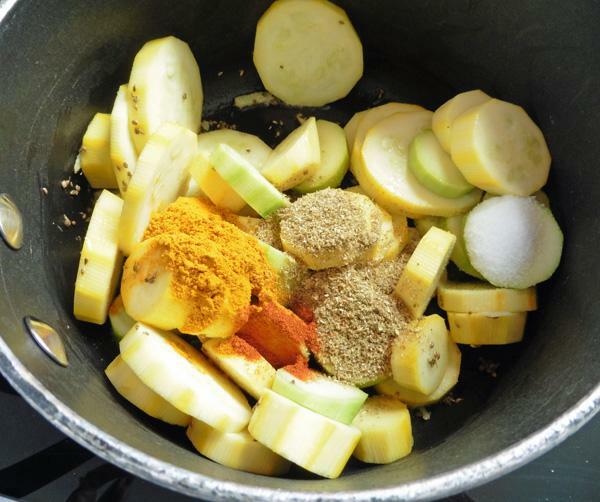 As the seeds crackle, add tori/courgette/marrow pieces, turmeric, salt, chilli powder and coriander powder. Stir-fry for a minute, turn heat to low and cook covered, stirring from time to time. 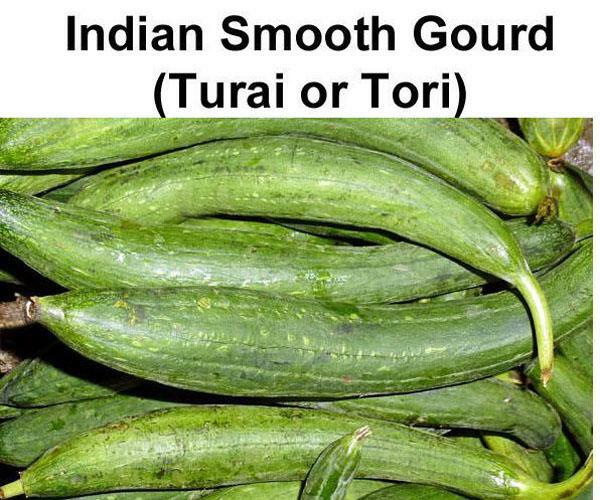 It usually does not need additional water, has enough of its own, but if it looks dry, add some water. Cook until tender. 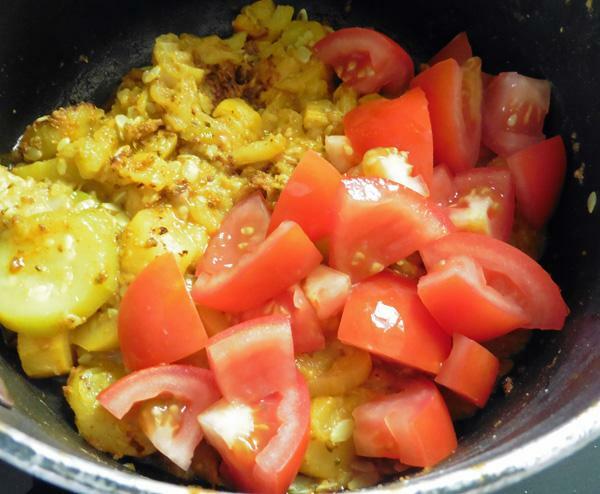 Stir in either lemon juice or add chopped tomatoes. Cook for another 4-5 minutes. 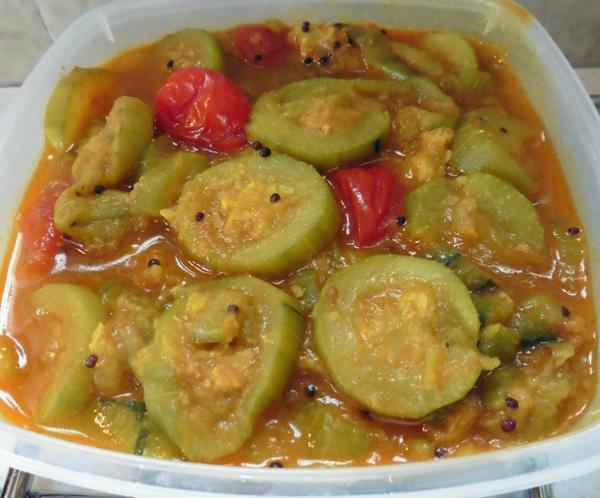 Serve hot with Chapatties or Plain Parathas.